Homemakin and Decoratin: Another chocheted scarf!! Eeeek! Scarf number TWO is my new pride and joy! I started this one yesterday afternoon and finished it by this afternoon. 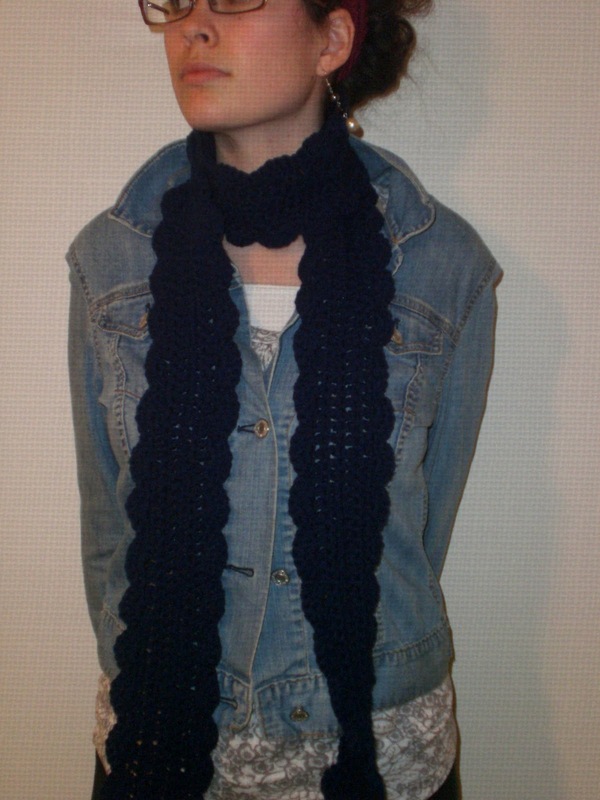 This scarf was super fun to make! .. a little challenging towards the end though, when I wasn't sure of how to get the scalloping done on the other edge of the scarf. But overall it was a pretty fun and quick scarf! 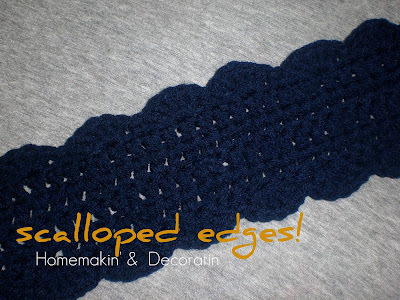 I love the double crochet stitch!! So pretty! These would be such fun and perfect gifts!! Great job, Jessica--it looks SO good! Yay--don't you feel so accomplished? I posted the scarf this morning.